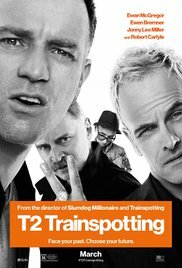 "T2 Trainspotting" Movie Review - ReDVDit! 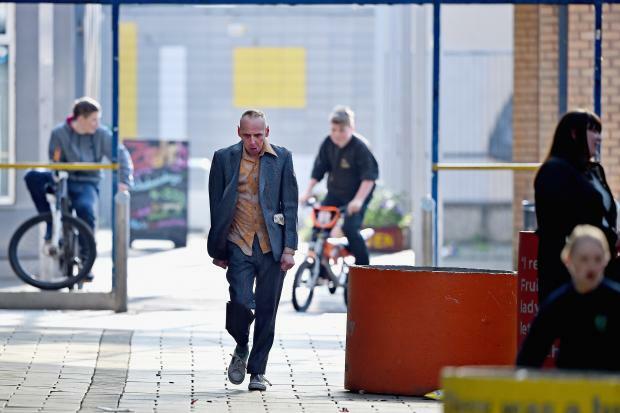 After 20 years, fans of 1996’s cinematic milestone ‘Trainspotting’ have gotten the sequel they never knew they wanted until they witnessed it with their own eyes. ‘Trainspotting’ is the last film you’d expect to get a sequel. In a world where ‘Dumb and Dumber To’ and ‘Independence Day Resurgence’ exist, I guess we should’ve expected one of the “other” biggest films of the 1990s to get a sequel as well. I guess the difference here is that it does what those films fail to do. It establishes itself as a necessary continuation of a timeless story. It flips the conclusion of the original film on its head, and gives you the “implied” continuation you should’ve expected, not the one you were told to. ‘T2 Trainspotting’ is a triumph that surpasses the original on every level. Danny Boyle doesn’t “brush off” the original film and give it back to the audience in a fancier, cleaner package. He revamps and refurbishes the classic story with brand new parts and new people with new pastimes. Danny Boyle truly experiments with ‘T2 Trainspotting’ making this sequel all the more necessary. It tones down the original’s disturbing, twisted aesthetic and offers a fresher, brighter tone this time around. It works rather well, and allows Boyle to make fresh choices, while also staying true to the story’s roots. Boyle experiments with new camerawork, new music choices, and many more innovations. It does everything the original ‘Trainspotting’ did when it comes to changing the game of cinema. Danny Boyle reinvented the genre back then, and he attempts to do it again here, it’s marvelous. The characters may be even more entertaining and fleshed out this time around. Renton’s friends still hold a grudge against him, but you truly feel at home along with Renton throughout the runtime. You feel a major sense of reunion. Boyle thrusts you into each scene, making you feel as if you’re right there, reuniting with old friends as well, making the character of Renton much easier to connect with on a personal and emotional level. The downright bizarre and unadulterated situations are back here as well, and they’re more than exciting as well as intense. The music choice here is absolutely stellar, each piece of music enriches each sequence and makes each of these sequences feel like an individual work of art. My problems with ‘T2’ lie in the way the film attempts to juggle its themes in the third act. At times the screenplay sends mixed messages, which result in some puzzling character decisions. Some themes and undertones are under-established, but that’s as far as my gripes with this film go. There are many surprises in ‘T2’, so I personally recommend that you stay as far away from the film’s spoiler-heavy marketing as possible and just witness this triumph for yourself.